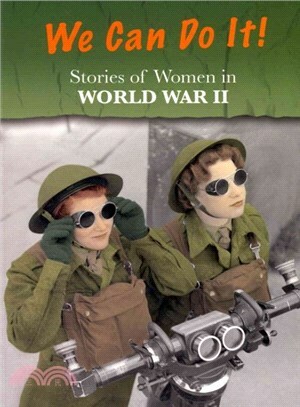 Stories of Women in World War II ― We Can Do It! More than 75 million people fought in World War II - nearly all of them men. Who was going to produce the weapons and the food, and do countless other vital jobs? The answer was women. Millions stepped forward to take on work they had rarely done before, such as fighting fires, ploughing fields and cracking codes. These are the stories of four trailblazers who achieved amazing things in difficult circumstances: Anne-Marie Walters became a secret agent in constant danger of being captured, working behind enemy lines in France. A painting of Ruby Loftus operating machinery became an iconic image of women's contribution to the war effort. By the time Nancy Love was in her early twenties, she was one of America's leading woman pilots. When “Red” Harrington and her fellow nurses were captured by the Japanese, they set up a hospital to look after the thousands of other prisoners of war. Many of the rights women have today are down to their actions. They helped change society's image of women forever.